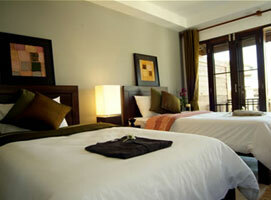 Rest here and quench your thirst for authentic luxury and pure urban charm at The Quarter. 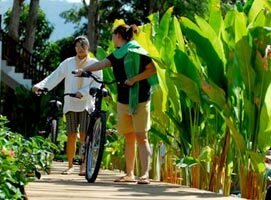 Being at the central of Pai � the valley of diversity - The Quarter is well connected to all kinds of facilities and famous attractions. Surrounded by scenic view of the mountains, The Quarter is keen to warm your heart with the local sweet hospitality and give you peaceful privacy. 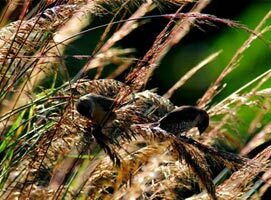 We ensure a warm and friendly stay in marvelous surroundings. 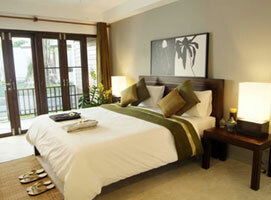 The hotel features 36 guest rooms including 24 double rooms and 12 twin rooms. 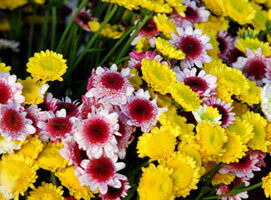 Every room was named with specificially tropical flowers as CHAMPA, LEELAVADEE and CHABA. Traditional Spa/Yoga : Our services is to relax you with the combination of international and traditional Thai Spa and to enhance your good health by offering the Yoga short course program. Swimming pool/Jacuzzi : Our swimming pool is unique by blending the modern design with the traditional one. 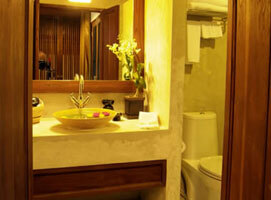 We also provide you an absolute relaxation with jacuzzi. Free internet ADSL (WiFi Unlimited) : You will never been lack behind in communication. 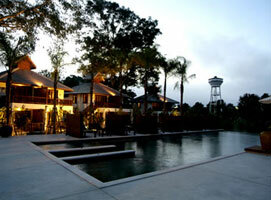 We provide a hi-speed internet throughout hotel area including your room, swimming pool or dining room. 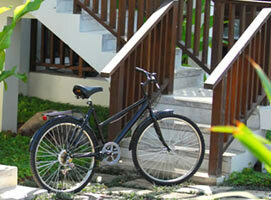 Free bicycles : We have a free 5-speed gear bicycle services for every of our guest. You can slow down your day and enjoy Pai atmosphere easily. 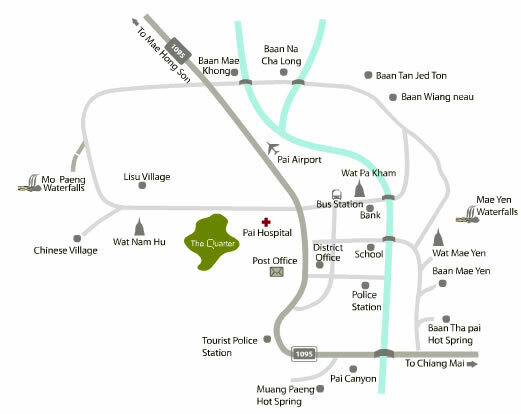 Car services : We have car services throughout the town and to Pai airport. 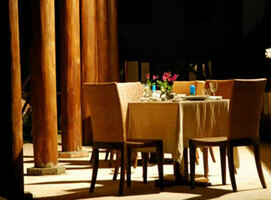 Food and beverage: " THE COLUMN "
You will be satisfied with variation of our special delicious cuisines and our friendly service among a luxurious open space dining atmosphere at our restaurant, The Column. Feel the difference in Pai - the valley of diversity. Only 135 kilometres from Chiang Mai and at 600 metres above sea level, the Pai Valley nestles amid cool chilly mist, well shielded from the bustling world. Pai is keen to impress you with the colourful traditions of the residing ethnic minorities and atmospheric scenery that really will take your breath. Nam Hu Temple: About 3 kilometres from Pai Market contain a sacred Chiang Saen Buddha image, 24 inches wide at the base and 30 inches high. The image�s topknot can be opened and contained holy water, revered by local folk. Mae Yen Temple: Mae Yen temple is located halfway up a mountain and once you have climbed the 350 steps to get there the views over the valley are tremendous, covering a radius of around 10 kilometres. There is an interesting old chedi at the temple and also murals that were painted by a local artist about the previous lives of the Buddha. 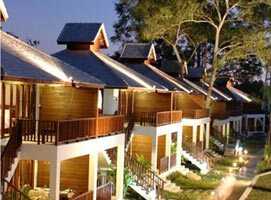 Tha Pai Hot Springs: Tha Pai Hot Springs are part of a national park just 8 kms south of Pai. There is a stream running through the hot springs and you can choose either to bath in the river or in bathtubs that have been built on the site. You can get to the springs by foot, bicycle, motorbike or car.